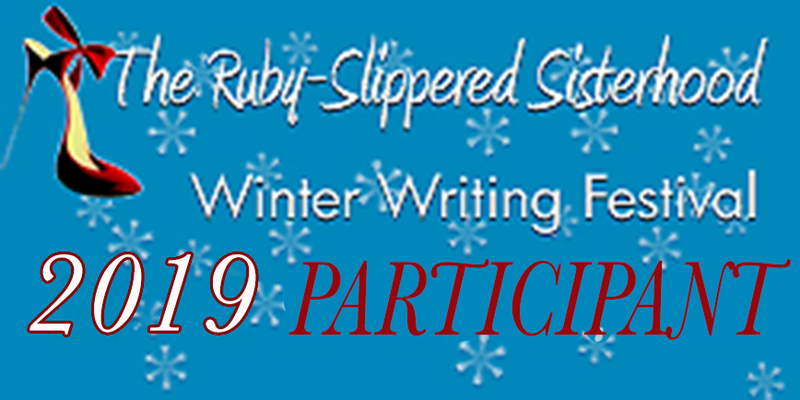 This month and next I am doing something new–participating in the Ruby-Slippered Sisterhood Winter Writing Festival. This online festival is similar to the November celebration of writing, National Novel Writing Month (NaNoWriMo), only in that they both encourage author productivity. Frankly, having participated in both, I must say that the RSSWWF is as much fun as NaNoWriMo, easier to attend (it is fully online), and comes at a better time of year (after the holiday rush). Much as I have enjoyed NaNoWriMo in the past, one has to live near writing friends to fully share the experience. With RSSWWF, I can participate from anywhere and still enjoy the camaraderie and support of my fellow writers. If you are a writer, or just curious, I encourage you to check it out at Ruby-Slippered Sisterhood Winter Writing Festival. And have a wonderful first month of 2019.